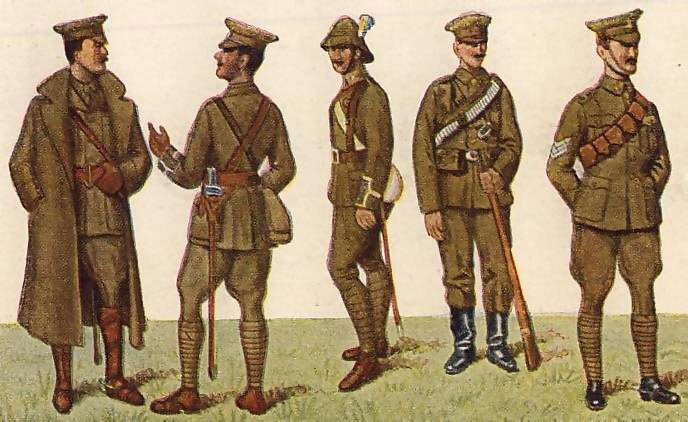 The scarlet cloth for the War Office had long been an important product for Hainsworth, but at the end of the 19th century demand for bright, distinctive combat wear plummeted when the increasing use of rifles and artillery in the Boer War led to a demand for a more protective colouring for army cloth. The company had already started working with Yorkshire College to create experimental new fabric constructions and in 1899 saw the first orders for Khaki Serge, a worsted warp woollen weft fabric. Bright cloths are still used today and our famous scarlet cloth is still manufactured at Spring Valley Mills and worn by the Her Majesty the Queen’s Royal Guard for ceremonial dress.